I love a good picnic. It's the kind of meal that's relaxed, fun and intimate. They can be simple, frugal and thrifty, or elaborate, elegant and flamboyant. The options are endless! With the heat being so brutal this summer, picnicking outdoors has been a bit of a downer. Instead of forgoing the fun, why not bring the picnic indoors! My mother always threw indoor picnic parties for us. Sometimes we'd have our own individual baskets, other times we'd have one large basket filled with a stash of yummy surprises and then there were the times when we'd pack our own brown paper sacks with items beginning only with the letter "S" (sandwiches, sticks of carrots and celery, sliced pickles, etc). We would spread out blankets and pillows and chat the afternoon away. When done, naps quickly ensued as we stared up at the ceiling envisioning bright blue skies filled with fluffy white clouds. 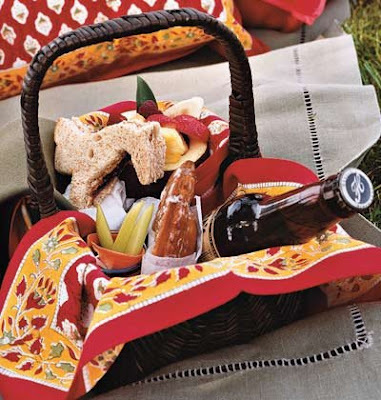 No matter what the weather was like outside, we could enjoy the summer tradition of picnics. 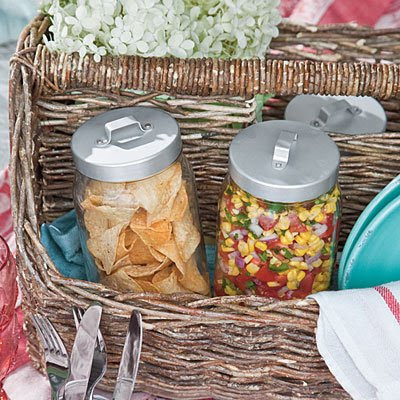 Bringing the picnics indoors means they aren't just for the summer months anymore. We still have indoor picnics to this day. One Valentine's Day it was too cold to celebrate outdoors, so we had a snowy picnic by the lake in the car. Get creative and establish out of the box traditions that your loved ones will cherish for a lifetime. Doing something unconventional will make memories that last. It's the perfect time to have some indoor fun right before the school season starts! 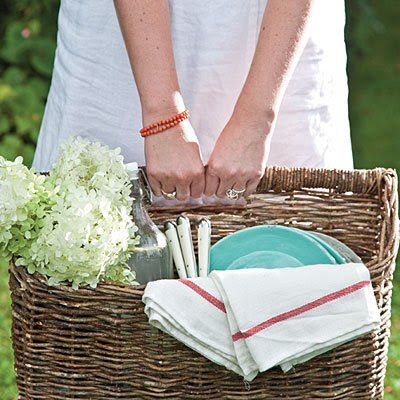 Do you have indoor picnics? 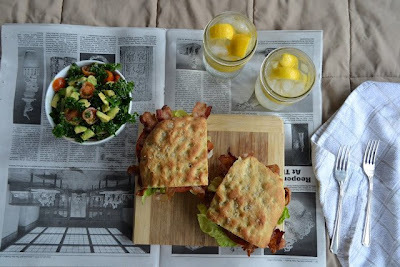 If so, what are some of your indoor picnic ideas?